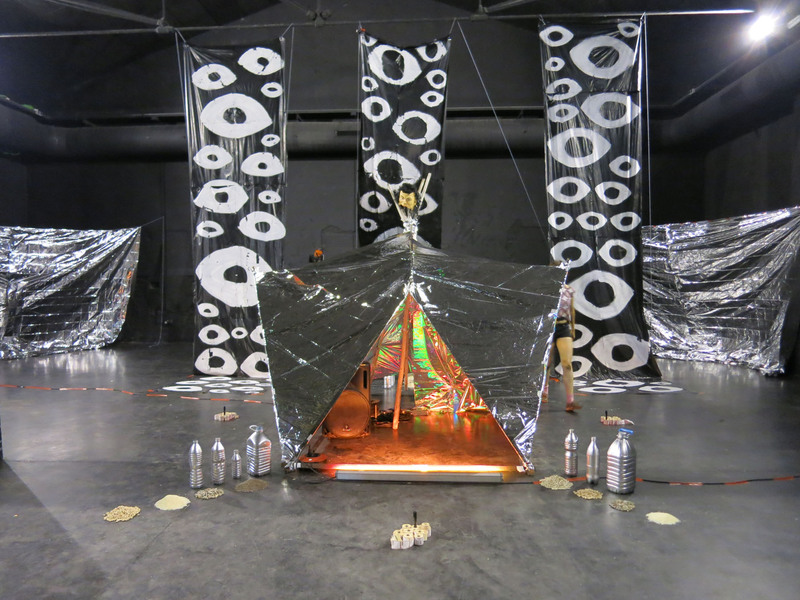 A portal has opened at Flux Factory, allowing beings from another world to slip through, to explore and extract all that the city has to offer. For one night only visitors can join a free tour that is simultaneously guided and unguided, experiencing all that is familiar impossibly contorted into a unique perspective. Expect to enter a peculiar new realm, where ritual and initiation opens new dimensions where you may find souls locked in eternal repeats; action collapsing into digital space; an adventure through the multi-sensory guidance of beings from the moon; an uncanny experience with a smattering of silliness. This unguided tour is a Fluxington Mill presentation, brought to life by members of the Salford-based Islington Mill: Volkov Commanders, Maurice Carlin, Rachel Goodyear and more! First opening reception: July 22, 5 pm Dates: Weekends, July 22 - August 27 Times: noon - 6 pm Location: Marina 59, 5914 Beach Channel Drive, Far Rockaway MarinArt is launching an exhibition space at Marina 59 in Far Rockaway, as a sub-project of Flux Factory's ongoing Sea Worthy exhibition. Curator Arthur Poisson is currently seeking artists to exhibit work at MarinArt for the four weekends of August.